On the way back from a trip to Darksphere, my good friend John and I got talking about me collecting a new army. 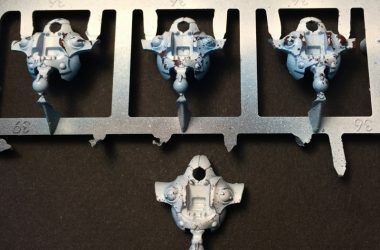 This was a patently ridiculous idea, even if I was starting to think about winding down my Eldar, given I had lots of Tau to paint, but I blamed it on jealousy at seeing various new armies starting at my local club. In this conversation I mainly ruled out a lot of armies for one reason or another. Necrons? Too broken. 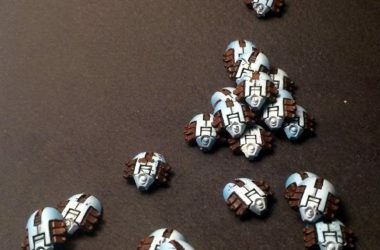 Do I really want to be that guy at the club who plays Eldar, Tau AND Necrons? Black Templars? I’d already started this army and had a veritable trove of bits collected for it over the years, but I still didn’t feel sufficiently inspired. Plus there were already a few Marine armies at the club and variety is good. Orks? I love them, and had flirted with starting them before, but they are probably the most time intensive army to build and paint. The Necrons had gone from super lame when they were first introduced to having a really cool model range and I knew they would be suitable for airbrushing given their smooth armour and limited details. 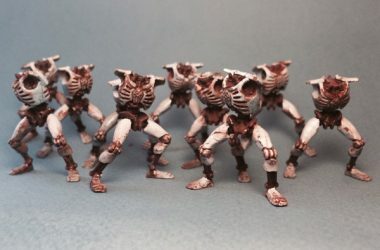 When I got home I spent some time browsing the GW store and found hardly any models I disliked (just Flayed Ones and the C’Tan Shards) and loads I simply hadn’t even known existed. From there it only took another trip to Darksphere for me to be coming home clutching a Necron battleforce, the codex and a load of new airbrush colours. 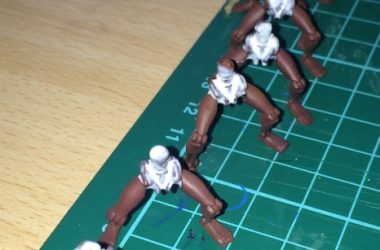 Prior and separately to new Necron shenanigans I had been formulating 10 rules (or loose guidelines, perhaps) that I’d stand by as a good way to paint an army. This was prompted vaguely by some questions on forums about how I paint so quickly. 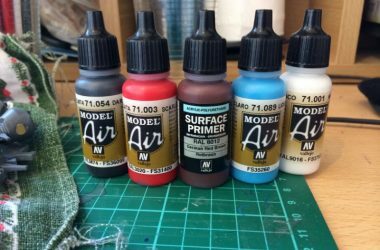 I wrote the rules (one of which is naturally to use an airbrush where possible) but then thought rather than just post them without pictures or illustration, I would wait until I had actual modelling projects on the go to show at the same time. Well, it turns out that collecting a brand new army is a pretty sweet excuse to talk about rules for painting an army, so as I progress through the rules, I’ll also post updates on how those rules are being applied to the Necrons. The problems with painting to a high tabletop standard are twofold and inherent in the name. Firstly, “high” can take a long time. 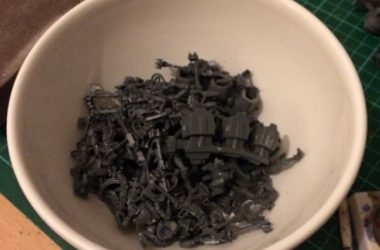 Secondly, they are for the “tabletop”, and as such will get knocked about on the table, carried around a lot and generally receive a lot of abuse leading to a risk of broken models and the paint job becoming chipped or scratched. 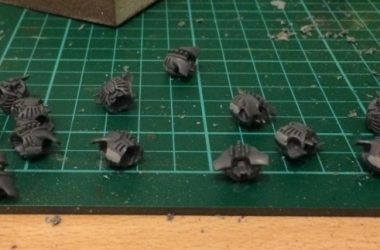 What follows then is basically an airbrushed Necron project log and my solutions to these two problems which together would constitute the “rules” for army painting that I would follow when I start a new army. 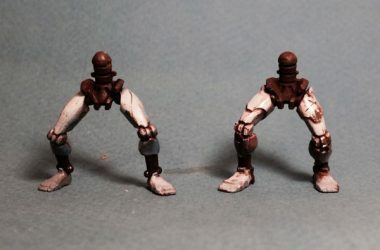 Rule 2: Clean Your Models Again!